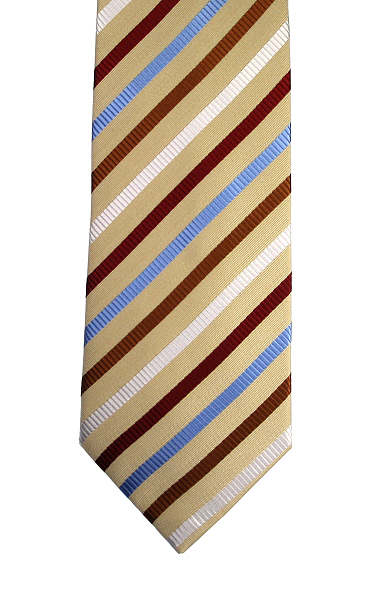 A cream silk tie with white, dark gold, bright blue and burgundy stripes. Lilac Striped Silk Tie . A lilac tie with light blue, dark gold, navy and white stripes.